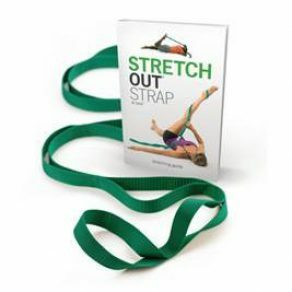 The Stretch-Out Strap provides a better stretch than is possible without any accessory. It can be used to stretch any major muscle group before or after any exercise or sporting event. Multi-position grips increase safety and quality of the stretching. The illustrated book details 30 different stretches.